Fresh off a Mythical First Team selection, Japeth Aguilar continued his stellar play from last season. 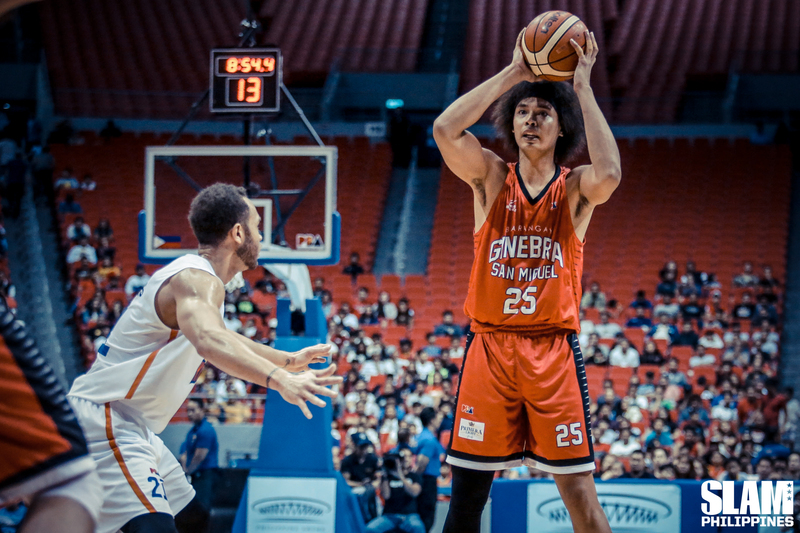 He led Barangay Ginebra to a season-opening win over the TNT KaTropa, 90-79. Aguilar led a balanced scoring attack with 21 points. He also had four rebounds and three blocks. 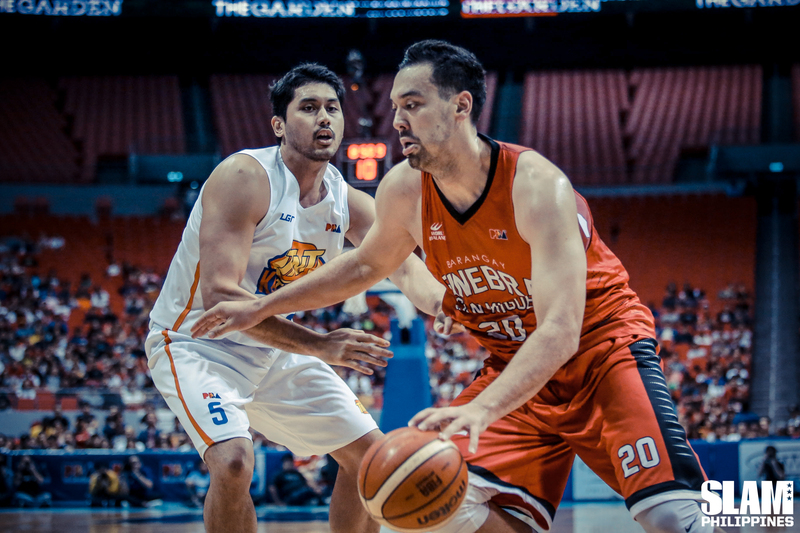 Aguilar’s front court partner Greg Slaughter contributed 15 points and seven rebounds. Ginebra’s intentions were clear early in the game. They were going to pound the ball inside and take advantage of their size in the paint. Aguilar provided the bulk of the offense in a 9-2 run that gave Ginebra an early double-digit lead. The rest of the team joined the scoring barrage in the second quarter. Slaughter, Joe Devance and Kevin Ferrer added to the lead. Aguilar’s three-pointer midway through the period gave Ginebra their biggest lead of the game at 18 points. The KaTropa began their comeback in the latter part of the second period. Behind the wing production of Don Trollano, RR Pogoy and Brian Heruela, TNT was able to get back to within seven points heading into the half. TNT continued to chip away at the lead early in the second half. Back-to-back hits from Pogoy and Kelly Willimas inside got them to within two points. Ginebra was able to salvage a six-point lead heading into the final period with key buckets from Sol Mercado and Aguilar. That gave them momentum to make one final run to pull away. The Twin Towers sparked a run in the final period with a three-pointer from Aguilar followed by an and-one hoop from Slaughter inside. Aljon Mariano and Scottie Thompson scored baskets inside to rebuild a double-digit lead. That was enough of a cushion to cruise to the win. RR Pogoy led TNT with 21 points. Jayson Castro added 17 points and 10 assists.